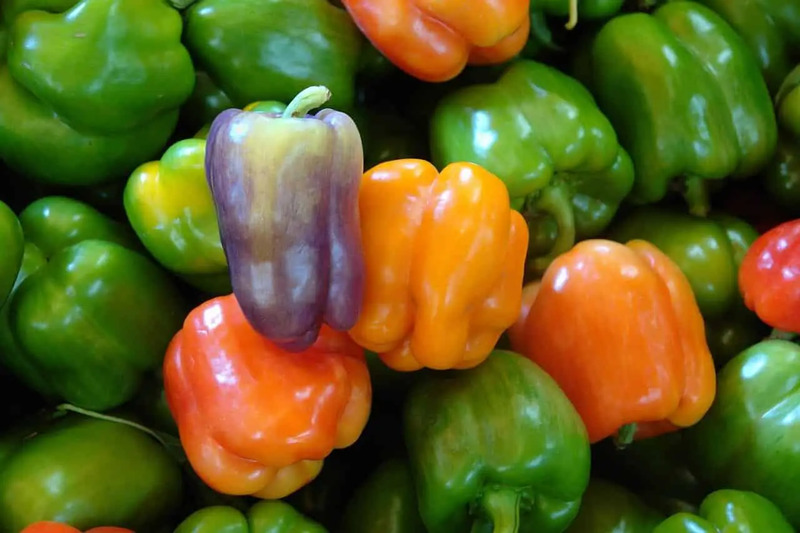 Looking for a colorful ornamental pepper for container gardening or small garden spaces? The Medusa pepper, with its compact profile and dozens of multi-hued upright chilies per plant, is neat perfect. Its stunning Medusa-like looks belie what’s truly a surprisingly mild and sweet pepper, perfect eating for those with little spice tolerance. How hot are Medusa peppers? Very mild. Medusa peppers have a Scoville heat range from 1 to 1,000 Scoville heat units (SHU). That’s heat that ranges from imperceptible to a low simmer comparable to poblano peppers. Compared to our jalapeño reference point, Medusa peppers are 3 to 8,000 times milder. 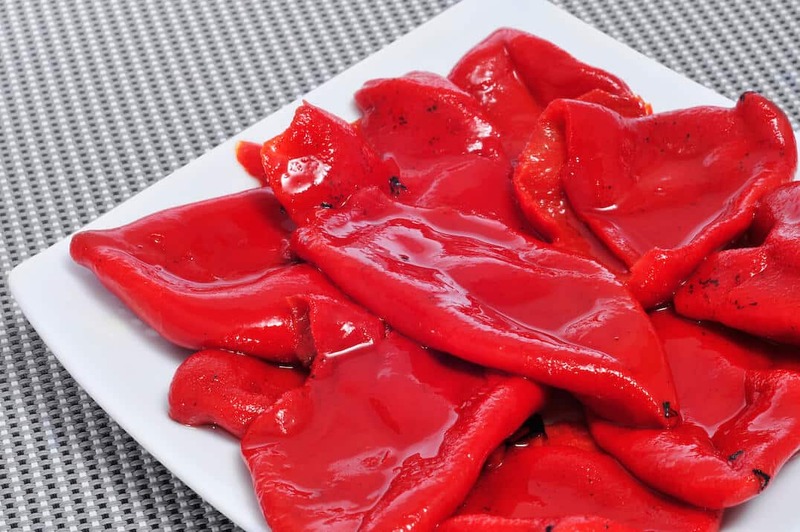 This is very mild for ornamental peppers, which are often intensely spicy since they are grown to bolster looks, not eatability. This is definitely a family-friendly chili pepper – anyone can tolerate this level of spiciness. What do Medusa peppers look like? Like Medusa’s hair…really. Medusa, in Greek mythology, is a monster with slithering snakes growing from her head instead of curly locks. The Medusa pepper looks frighteningly like her. Its a compact plant, only six to nine inches wide and up to twelve inches tall. But it can grow dozens of upright conical chilies on that single plant, each typically two inches long. The chilies twist and curve, too, adding to the Medusa-like snake effect. 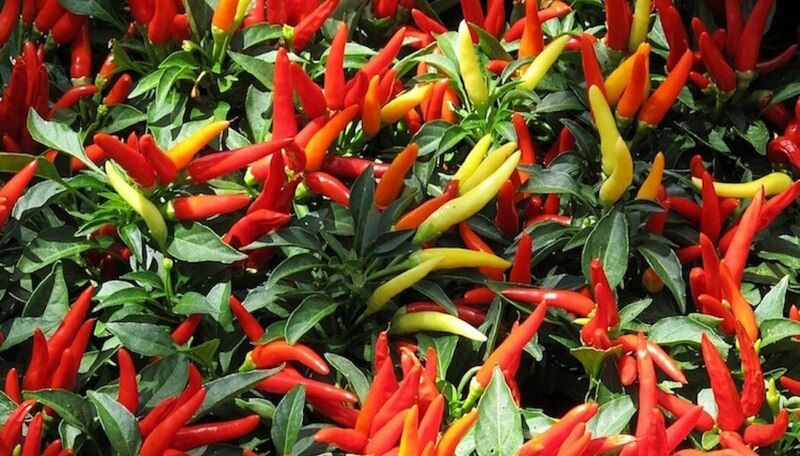 The chilies age from an ivory white to a rich red, with hues of yellow and orange in between. 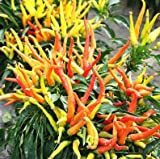 One plant can have dozens of chilies at different levels of maturation, so it provides a very colorful display – like Christmas lights – above the green plant leaves and white flowers that the plant blooms. Surprisingly sweet. Ornamental peppers aren’t typically known for complex flavors, but the Medusa pepper does have a delicious sweet pepper taste. That, mixed with the low-level heat – makes these chilies very usable beyond their obvious ornamental purpose. 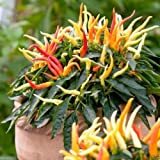 As ornamental peppers, Medusa chilies are perfect for small-space gardening. They work well in containers or small flower beds and provide a heck of a lot of drama for the amount of space they take up. Or if you’re looking for a dense plant with a lot of color for your landscaping, it’s a very good choice, too. As a culinary chili, the low-heat sweetness makes the Medusa pepper a tasty alternative to bell peppers in many recipes. Try them fresh in salads and soups or grilled for use on sandwiches. Where can you buy Medusa peppers? 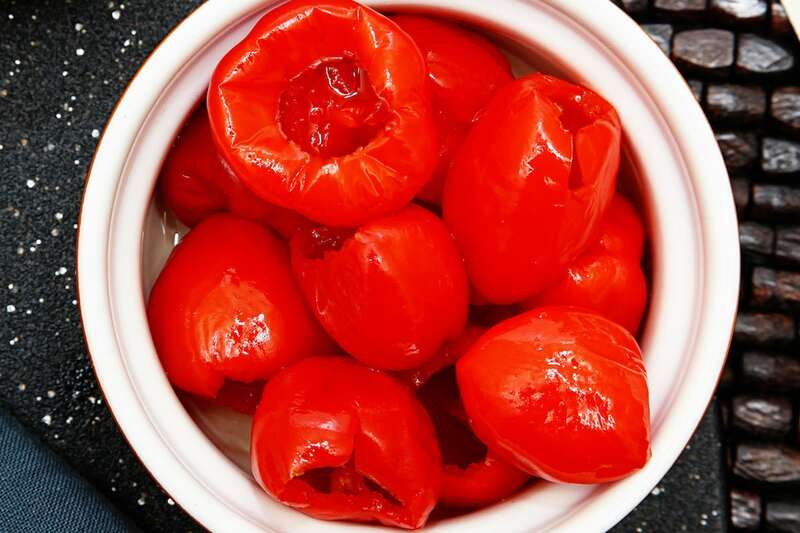 Like other ornamental peppers, you’ll often need to grow them to appreciate them. You won’t find the chilies fresh in stores, but you may come across them at farmer’s markets. If you have a green thumb, Medusa pepper seeds are widely available in gardening stores and easy to purchase online. 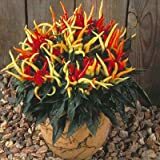 Really few compact plants have such impressive impact as the Medusa pepper, so if you’re seeking that statement plant for container gardening, give this chili full consideration. It’s stunningly beautiful with family-friendly spiciness – a rarity among ornamental chilies.